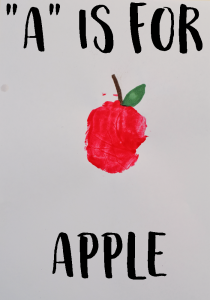 Welcome to the Handprint the Alphabet series for kids! We’re looking to learn and get creative with our preschoolers this summer. 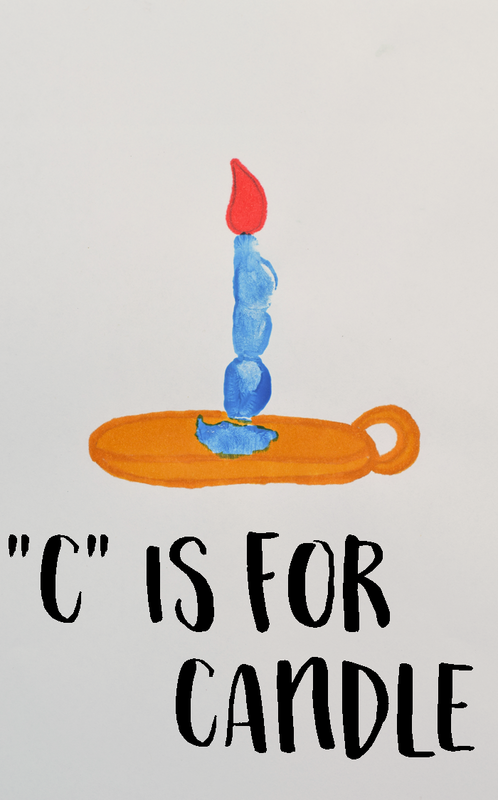 Today is letter “C.” While there are lots of objects we could do, today, “C” is for Candle! 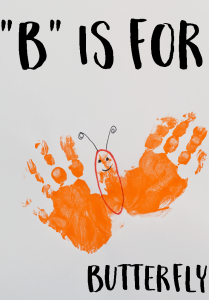 Today’s project just involves using one little finger for this simple handprint craft. 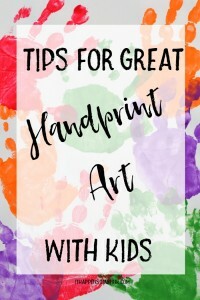 Be sure to pop over and check out my Tips for Great Handprint Art with Kids post if you’ve never done handprint art with kids before. I share a few pointers plus my go-to supplies! Choose one finger to paint on your child’s hand. For the majority of kids, the most natural finger will be the index finger on the dominant hand. Apply a thick coat of your chosen paint color to the finger. Candles come in pretty much every color of the rainbow, so get creative! Press the finger in the center of the paper. Roll it slightly back and forth to make a thick candle shape. Let the paint dry completely. To make the flame, there are two options. One is to draw the flame. Use a pencil to lightly draw a flame shape, and then color (or let the child color) it in with an orange or red marker or colored pencil. 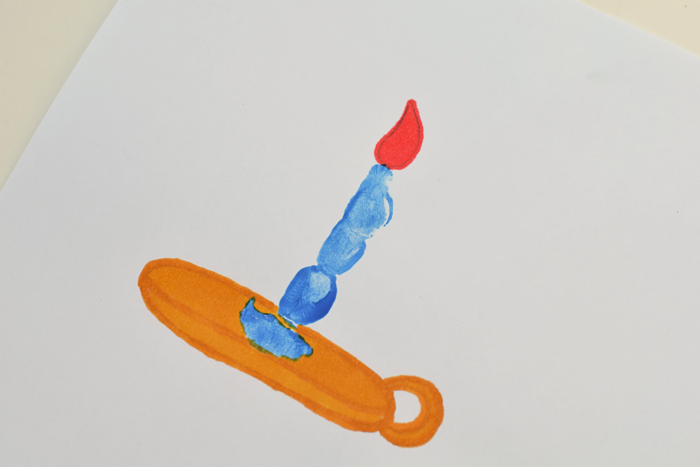 The second option is to apply orange or red paint to the very tip of the child’s finger and press that down above the candle to create a flame. Using the pencil (optional if you’re a fantastic free hand artist!) and the colored pencil/marker, draw a candle holder underneath. Thanks for following along, and I’ll see you back tomorrow with the letter “D!” I’d love to hear if you are joining in on the series with your kiddo. Feel free to post photos on my Facebook wall or tag me on Instagram!